Five women from the St. Mary’s University community will receive the Alice Wright Franzke Feminist Award on Wednesday, March 8, 2017 – International Women’s Day. The honorees will be recognized at 4 p.m. in the Law Alumni Room of the Sarita Kenedy East Law Library on campus. 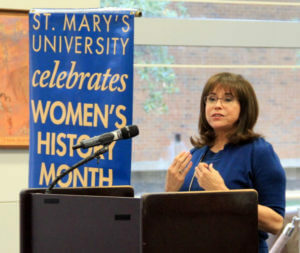 The Alice Wright Franzke Feminist Award was established by the St. Mary’s Women’s Caucus in March 1990 to commemorate the life and works of Alice Franzke, Ph.D., a professor in the Sociology Department at St. Mary’s University from 1982 until 1989. It is awarded each March during the University’s celebration of Women’s History Month. Franzke was an inspirational model of feminist activism and civic engagement who embodied a commitment to justice and peace. 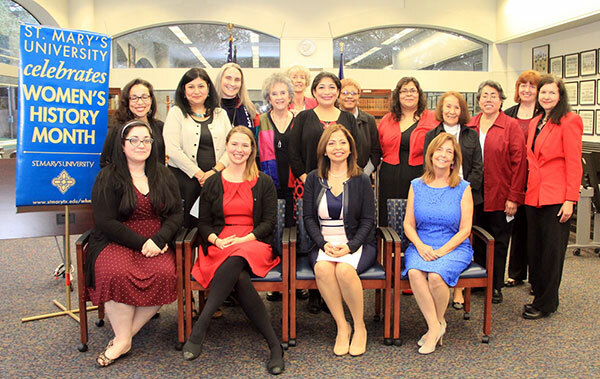 The award honors feminists of the St. Mary’s community who promote peace, empowerment, civic engagement, cooperation, equality, and respect of all persons. Any current or past member of the University community is eligible for nomination. For more information about the Franzke Award, please contact Prof. Diane Duesterhoeft at dduesterhoeft@stmarytx.edu or 210-436-3346.